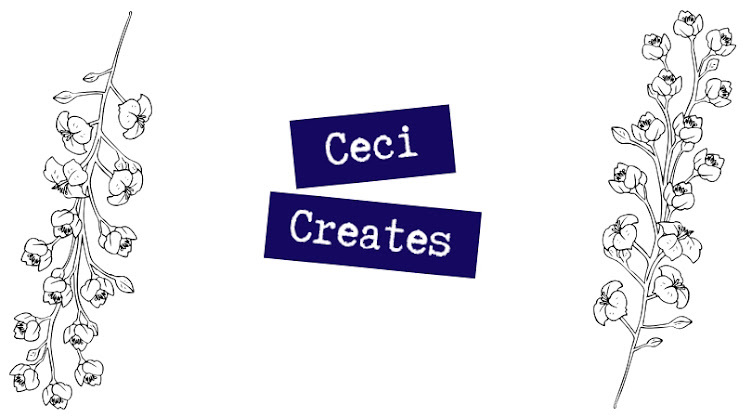 Ceci Creates: Tolkien Blog Party 2017! Hello, my amazing and fabulous readers! 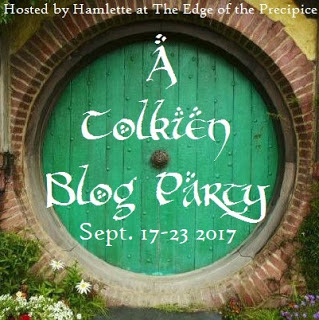 *bows* Today I am filling out my answers to Hamlette's Tolkien Blog Party questions! I'm really excited! So let's go! Now it is time that I go hide in the cone of shame. 2. 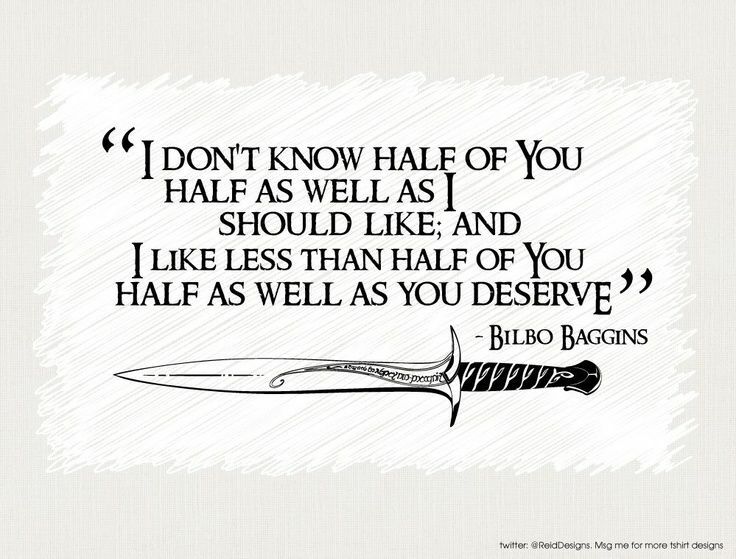 Has your love of Middle-Earth affected your life? Well, it certainly has made me think more about my faith. As I was reading, I kept seeing parallels to my Catholic faith, and I really enjoyed that. Even though Tolkien said that the Lord of the Rings wasn't a parallel to anything, my dad told me that someone asked Tolkien to summarize the Lord of the Rings (or something like that) and he replied that you could find it all in the Nicene Creed. 3. 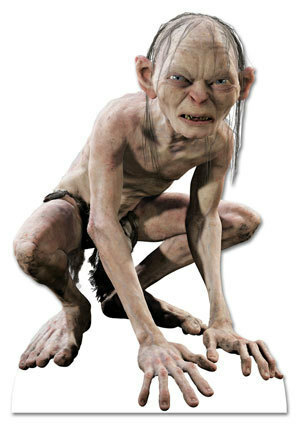 If you had to take the One Ring to Mordor, which character would you choose for your sole companion? 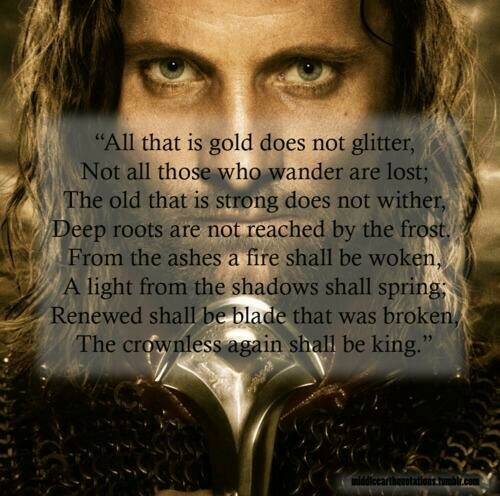 Aragorn. Don't know exactly why (besides his awesome scout and sword skills) but him. Or Gandalf. It never hurts to have a wizard at your side while going deep into a horrible land with giant spiders, creepy orcs, and a giant eye. 4. Which is scarier, Shelob or the Balrog? I think Orthanc and Barad-dûr. 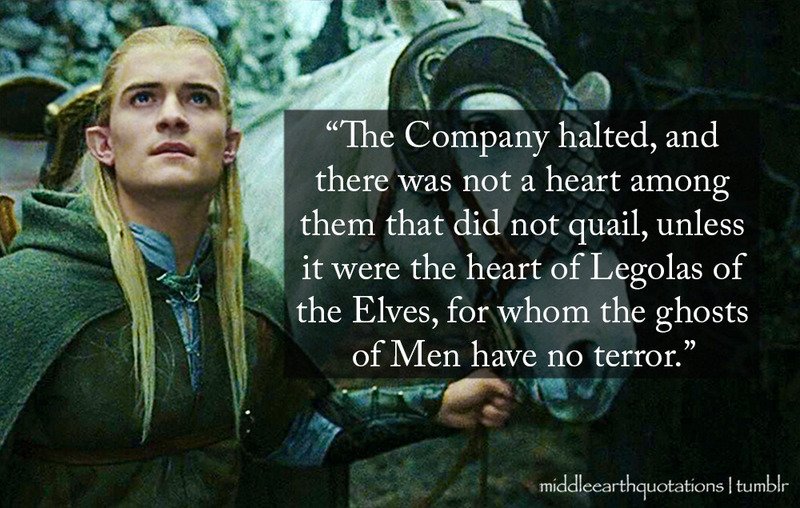 Because didn't Gandalf say something to the effect that Saruman was trying to make Orthanc look like Barad-dûr? 6. 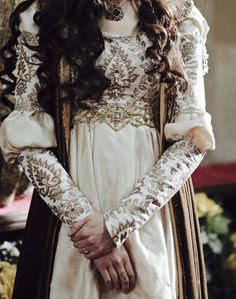 Whose wardrobe would you like to have? Oh, this is easy, Gollum's. 7. What do you think Ent Draught would taste like? I actually think that it would taste like ice-cold water. You know, the type that's not too cold but not too hot and feels SUPER good going down your throat? 8. 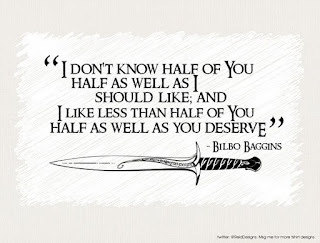 Where is Middle-Earth would you like to live? Probably either the Shire, Rivendell, Gondor, or Rohan. Wow, that was a definitive answer. 9. 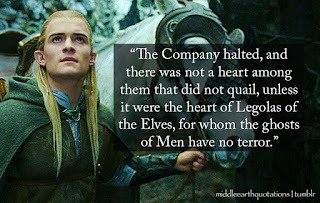 Do you have any Tolkien-related opinions that surprise other people? 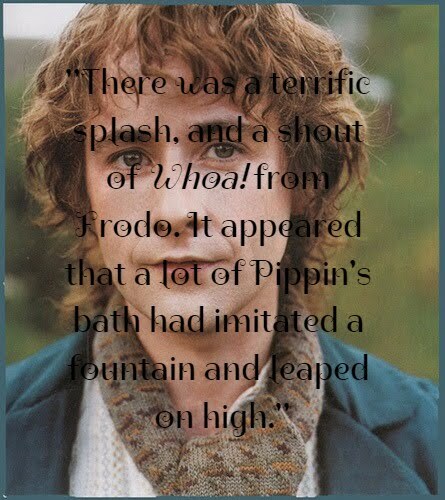 Pippin is way better than Merry. 10. 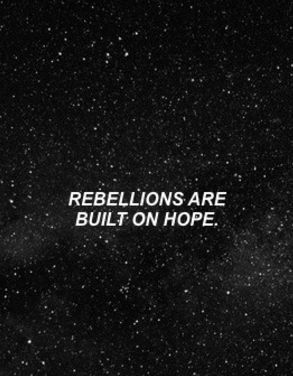 List up to ten of your favorite lines/quotations from the books or movies. 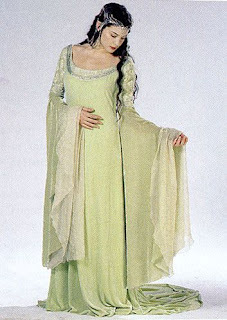 Before I overwhelm you, Imma just gonna say that my one of my favorite scenes is when Aragorn sees Arwen at his coronation. 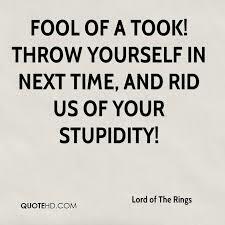 But that isn't a line/quotation, so here we go. 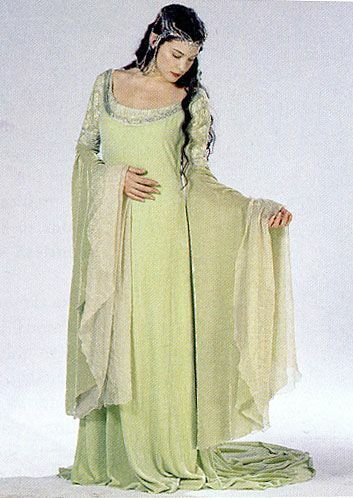 you'll probably see a whole lot of these again during my Fellowship of the Ring week--whenever that happens. 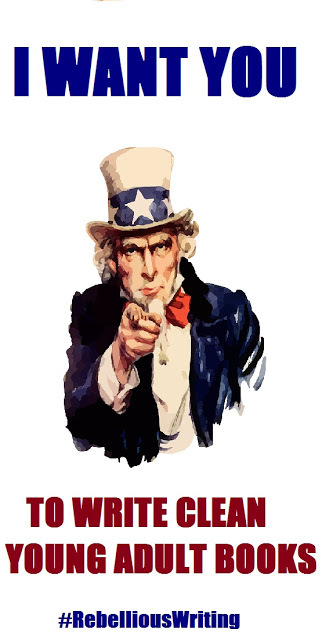 If you want to get in on the fun, make sure to check our Hamelette's blog here. 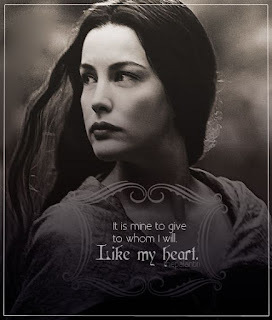 Remember to check out her Tolkien Blog Party post and check out her amazing giveaway. Weeeell, that's all for now! I'm glad you liked the post, it was really fun to do! 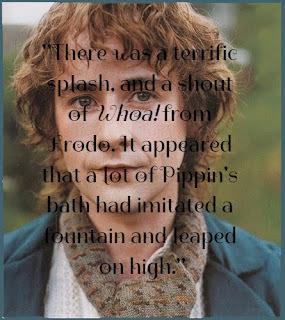 You know, Merry used to be my favorite of the two, but I like Pippin more and more now. I love how his character develops over the three books. 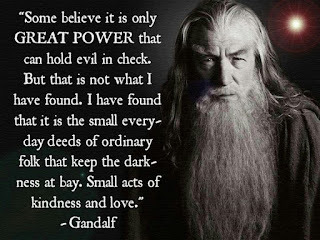 Gandalf always has some great words of wisdom! 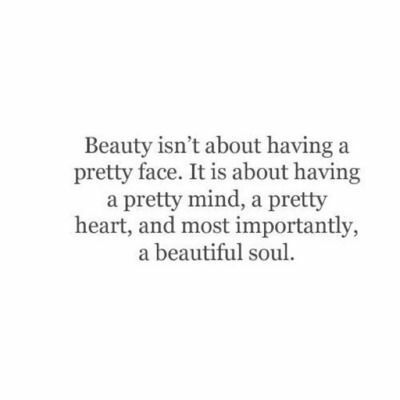 And your blog is sooo pretty! I would love to discover Lord of the Rings for the first time again. However, it is one of those miraculous stories that grows deeper and richer every time you read it, so you have lots of happy reading ahead of you! 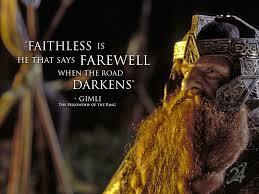 That Gimli quote is also one of my favorites and I frequently find myself reflecting on it. If you would like to see more parallels between LOTR and the Catholic Faith, definitely check out Joseph Pearce. He's done a lot of lecture series on LOTR, the Hobbit and Tolkien himself. Thanks for the info! 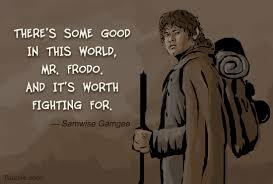 I feel like LotR can help Catholics a lot in growing in their faith. Welcome to the fandom! We were all new to LOTR at some point, so there's no shame in being a new fan :-) I myself became a LOTR fan at the ripe old age of 21. 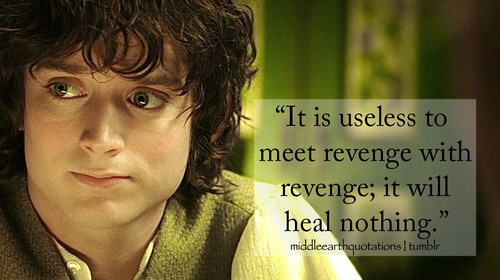 While Tolkien insisted LOTR wasn't allegorical, he did agree that you could apply many of the situations and lessons to the real world. And of course his faith informed his creation of these stories -- what a person believes is always woven into what they create.